Accenture: IT company profile, complete details and official website details are gathered and a collection of information is given below. Accenture is one of the World’s largest IT consulting and IT services company which was established in the year 1989 by Arthur Anderson. This company has established its footprint over 120 countries. This company has over 80,000 employees in India, 35,000 employees in Philippines and 40,000 employees in US. To become one of the world’s leading companies, bringing innovations to improve the way the world works and lives. – Began offering Business integrated solutions. – Accenture offered initial public offering of at the price of $14.50 per share. 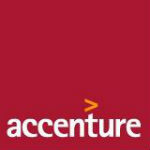 – Anderson consulting changed its name to “Accenture”. – Reached the revenue of US$ 27.9 billion. In 2003, Oracle was given award for teamwork excellence. Was named by fortune magazine as one of the World’s largest company to work for in 2013. Source : Wikipedia & Accenture website.